Our low cost records storage solutions offer you the peace of mind that your valuable documents are well cared for. 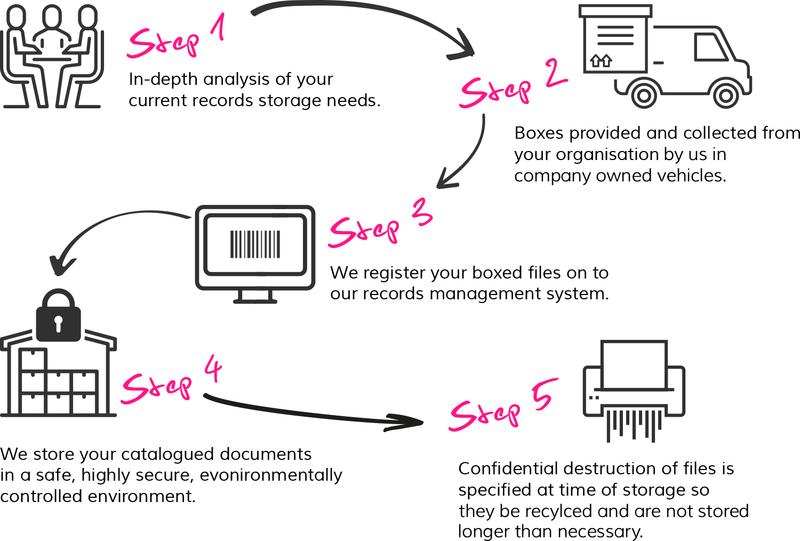 We start by supplying you with Filofile storage boxes, we then collect from your premises, register and barcode them into our world class records management system and store them in our highly secure climate controlled storage facility. 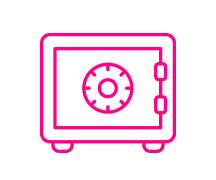 With space at a premium these days does it make any sense to try and store documents and valuable files on your own premises or at home? When you take into consideration that many documents must be kept for a minimum of seven years and you might have the need to be able to access those documents from time to time, then an offsite storage solution like the one that Filofile offers becomes a viable alternative. 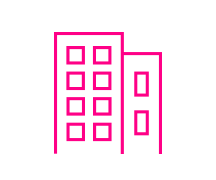 If you need access to your documents at anytime, we can easily retrieve them for you. 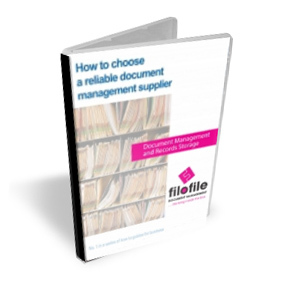 The Filofile document management service is cost effective, provides full traceability, reduces your cost of renting space to store documents and allows your staff to be more productive. 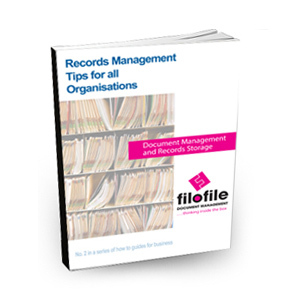 Some organisations lose a document every 12 seconds. 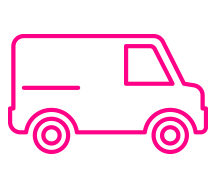 We provide a next day delivery service for document retrieval as standard, we also have an emergency service for those crucial moments when you need a record in a hurry. Storing your documents in a state of the art facility that is secure, discreet and linked to Police and Fire services, as well as being ISO 9001 compliant, adds an extra layer of security to storing your own records on-site or in a storage unit. 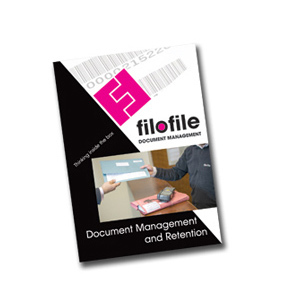 Storing documents with Filofile creates more useable space in your workplace, and if you’re leasing a dedicated unit to store your records we can offer a much more cost effective solution whilst providing all of the benefits above at the same time.